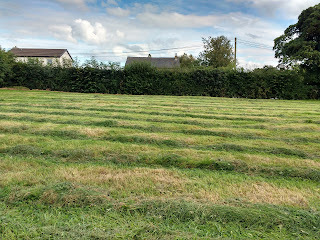 The grass in the field had got quite long so John mowed it this week and Luke has been collecting it with the quad and trailer. 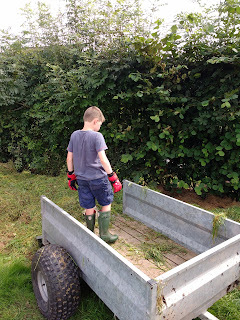 He started off doing it on his own but Charlie and Daisy soon spotted him and came to help. 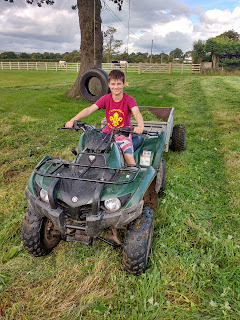 It was nice seeing them all playing together and having lots of fun collecting the grass and having rides in the trailer. Dad was telling them how he used to have to make hay by hand when he was a boy and they didn't have quads, trailers and machinery to help! 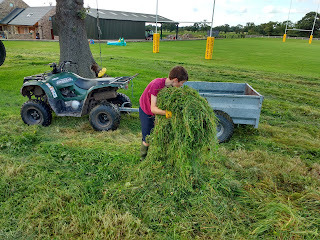 They have spent a couple of days collecting grass as once they had collected the first lot we mowed it again on a lower setting so they had to collect all the new grass although they really didn't seem to mind as they were having such a good time and the weather has been nice. 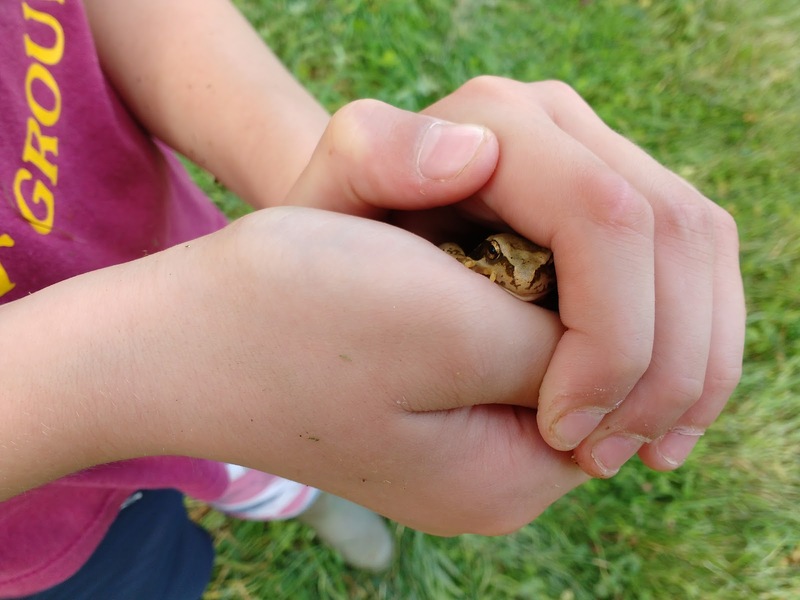 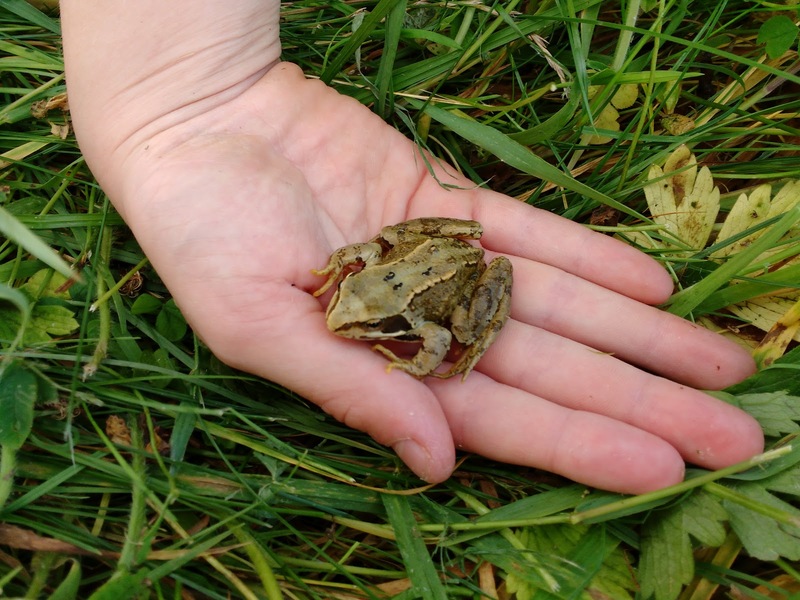 Luke found a frog in the grass and it stayed still long enough to have a picture taken.